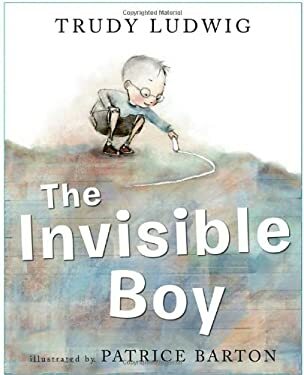 Meet Brian, the invisible boy. Nobody ever seems to notice him: he's the last picked for a team during gym. The only one not invited to the latest birthday party. He spends most of his time drawing pictures of fantastic things, like dragons, aliens, and superheroes. But when a new boy, Justin, arrives, Brian is the first to make him feel welcome. And when Brian and Justin team up to work on a class project together, Brian finds a new way to shine. Introverted children are often overlooked in the classroom, even by teachers, who are kept busy attending to students who more outwardly need their attention. This picture book, by a powerhouse team, gently addresses the needs of those quieter children, who need attention too.